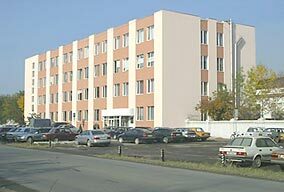 The Yuzhnouralsky Insulators and Fittings Plant AO (JSC) (YuAIZ AO) is one of Russias and CISs leading manufacturers of string insulator units of cap and pin type and line fittings for overhead power transmission lines and switchgears in power plants and substations. The glass insulator production facilities are capable of manufacturing thirteen types of HV string insulator units of cap and pin type. The insulators are made of toughened glass of high insulating ability, mechanical strength, thermal and chemical resistance and is capable of withstanding mechanical failing loads from 40 to 300 kN in compliance with Russian and international standards requirements. On Customers' request, for regions with a high degree of environment pollution, the insulators are assembled with pins equipped with zinc sleeves. This sleeve, being "the sacrificial electrode", prevents for a long time the pin corrosion caused by d.c. and atmospheric conditions. Thermal treatment (toughening) contributes to high mechanical and electrical properties and thermal strength of the insulator. During subsequent thermal tests, defective articles are rejected which provides for securing the specified characteristics of insulators. After thermal tests all glass parts are subjected to visual inspection and verification of dimensions. After the assembly of glass insulators routine mechanical and electrical tests are carried out. Manufactured in the ceramic insulator production shop are HV and LV line pin insulators, post and rigid insulators, cases for high-voltage safety fuses, milling bodies (cylinders) of various types and sizes and with high alumina content. Line pin insulators are used for fastening conductors on them, for insulation of one conductor from another one and from grounded metal towers on power transmission lines in power networks. Technology of profile turning with machines (wet-process) is applied for manufacture of insulators. 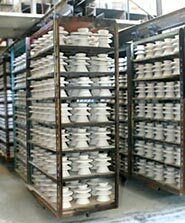 Great attention is being paid to the quality control at all process stages in ceramic insulator production shop. High-strength cast iron caps for assembly of string insulator units. High-strength cast iron castings for line fittings and post insulators. Grey cast iron castings for line fittings. Aluminium alloy castings for post insulators and for line fittings. Tailored castings from cast iron and aluminium alloy. Cast iron chemical composition, thermal treatment modes, cast iron structure, mechanical parameters of cast iron and castings, quality of zinc coating, other process parameters are monitored throughout the process. 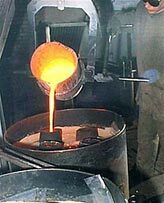 Casting process is monitored by the relevant laboratory which functions as part of the production shop. Mechanical properties of cast iron and castings are checked by the relevant laboratory of the Quality Control Department. Upon completion of the production process, lots of castings undergo the sample tests in compliance with requirements prescribed by Specifications. 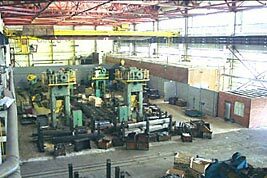 The forge is in charge of manufacturing line fittings for high-voltage power transmission lines (35, 110, 220, 330, 500, 750, 1150 kV) as well as of manufacturing parts for insulators. The line fittings represent one of plant's major types of products. The product mix includes various types of coupling, suspension, protection, tension and connection line fittings. The plant is currently manufacturing more than 470 items of line fittings, including 210 types of coupling fittings, 36 types of suspension fittings, 175 types of protection fittings, 8 types of tension fittings and 40 types of connection fittings. The production is focused on manufacturing line fittings required for securing complete delivery sets for Customers.